Polo is played between two teams of four players on a grass field of about seven times the size of a usual football (soccer) field. Two goal posts -that are collapsible for safety reasons- are located at the end of each side of the field. They are separated by 7,32m and have no height limit. Players carry slender handled mallets and attempt to hit the ball through the goal posts. 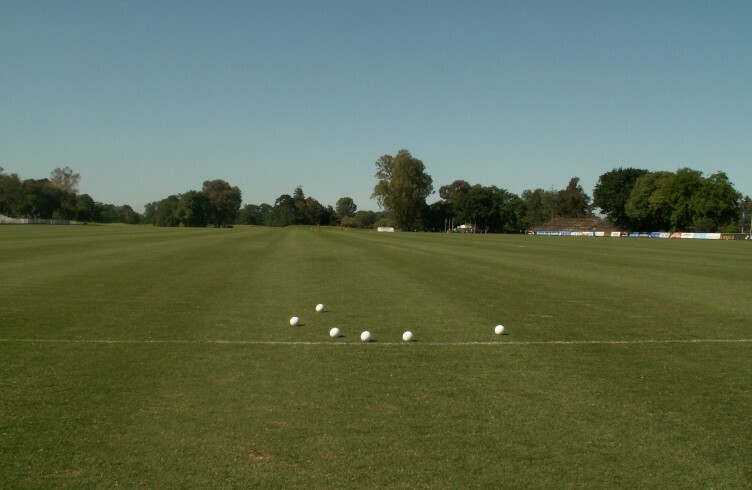 Each goal counts one point (See the actualization of the Argentine Polo rules about this topic). The ball is made of wood or hard plastic and is usually white. Its diameter is about 7,5cm and its weigh is 130grams. 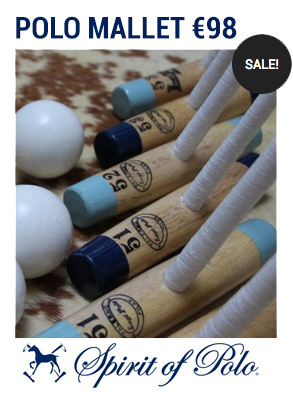 The ball is stroked with the side of the head, not the end as in croquet. 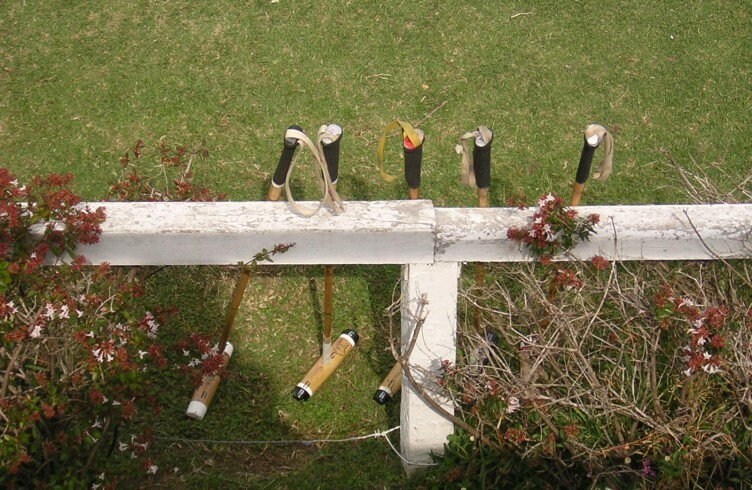 The game is played in six chukkers (periods) of seven-and-one-half minutes. The actual time of play is the one that counts; the clock is therefore stopped whenever a foul is played. 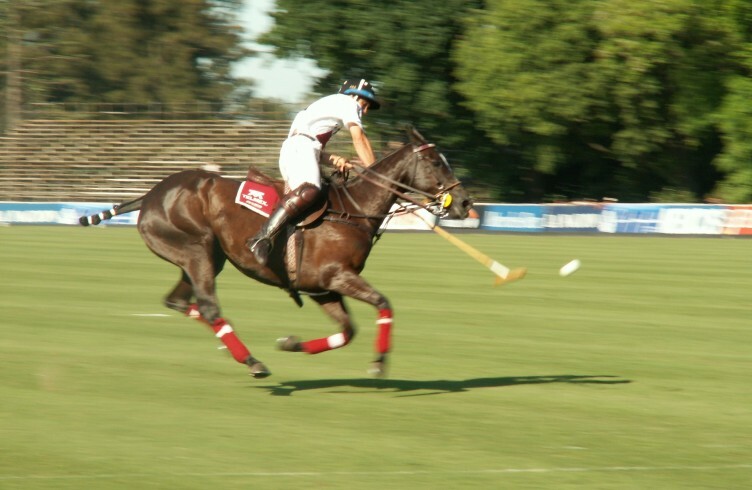 While players are expected to play the full game without substitution, polo ponies may not be played in consecutive chukkas. Polo focuses firstly on pony’s safety. If, for instance, a pony’s bandage comes undone, the whistle is blown to stop play. Both the horse and the rider run the risk of losing their balance, falling to the turf, and sometimes breaking bones. However, play is not stopped if a player suffers a harmless fall. 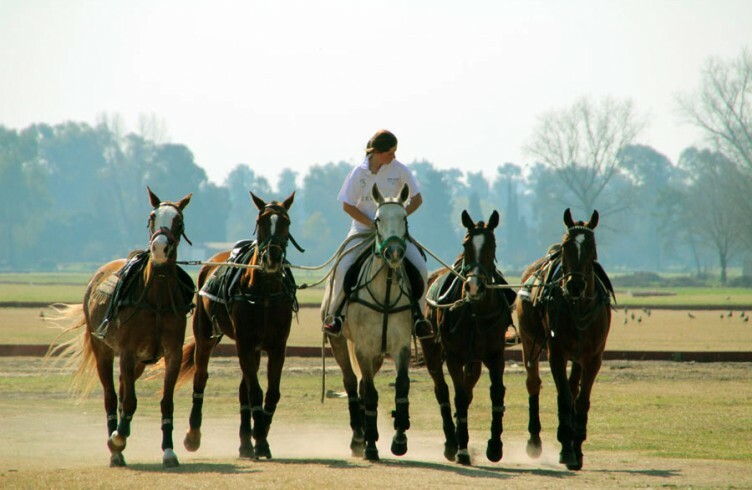 Even though polo is a tough and fast sport, injuries to ponies and riders are few. For protection, the players wear helmets and knee guards while the horses’ legs are wrapped to prevent any injuries. The teams change sides after each goal. This rule comes from the hot and sunny colonies where it was a considerable disadvantage to play against the sun. In addition, this rule was implemented to prevent the grass at the goalmouth of the weaker team from getting permanently damaged in matches where one team dominates strongly the game. Polo players are rated in handicaps – just like in Golf – that they can improve with victories in tournaments or goals scored. Handicaps range from -2 for beginners (0 in Argentina) to a very rarely achieved +10 goals for the best players. A high rating is so difficult to reach that 90% of the US players are rated at 2 goals or below. However, in Argentina -country that provides the world with most of its greatest polo players- many players could rank way over +10 if the rules would only let them. The ranking is crucial for the setting up of polo teams as the handicaps of the four players are added up to obtain the team handicap. Handicap tournaments range from “Low Goal” to “High Goal” with the respective restrictions and handicap limits. Tournaments from -8 goals to +4 goals are considered low goal. Tournaments from +4 goals to +16 goals are considered medium goal and tournaments from +16 goals to +40 goals are considered high goal.